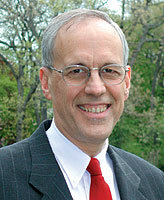 In May, the Kellogg School named Roger "Whit" Shepard associate dean for development and alumni relations. Bringing nearly two decades of leadership experience in fund raising to the Kellogg School, Dean Shepard is now responsible for all Kellogg fund-raising activities and for engaging and strengthening the school's alumni community worldwide. Most recently, Shepard served as associate chancellor for development and vice president at the University of Illinois Foundation in Chicago. Prior to that, he was associate dean for external affairs at the Graduate School of Business at the University of Chicago. His administrative experience includes vice president of development at the Chicago Botanic Garden in Glencoe, director of development at the Ravinia Festival Association, director of development at Lake Forest Hospital and director of development, corporations and foundations, for the Chicago Symphony Orchestra. Kellogg World spoke with Dean Shepard to learn details about his new role. Kellogg World: What is the impetus for combining Alumni Relations and Development? Dean Whit Shepard: Alumni are the bedrock of our development initiatives. In any nonprofit institution, the foundation for giving comes from individuals, although giving from corporations and foundations will always be important too. Both departments are engaged in strengthening and expanding our relationships with alumni and others whom we are asking to reinvest in their relationship with Kellogg and the Kellogg School's future. KW: Why is it important for Kellogg to accentuate its development mission now? DS: Because there is a much larger, exciting opportunity in front of us. To ensure that Kellogg maintains and expands its resources to deliver a world-class leadership education, it's important that we communicate the Development message along with the Alumni Relations message. KW: What is a challenge in articulating this message? DS: A lot of people believe that asking for money is like begging: it turns others off. If you do it well, soliciting resources has the opposite effect. It's really about building relationships. People want to be involved in supporting an exciting organization. Our alumni are extremely enthusiastic about their relationship with Kellogg. They want to give back, and many say they are glad we were asking them to give back, and in a big way. As we tap this willingness to contribute, our job is to create a program that is the best in perpetuity for the school and which makes alumni and donors feel like real partners. After all, that is what our peer schools have been doing for years, with tremendous success. KW: How are we creating opportunities for alumni to contribute and what do they get out of the deal? DS: We'll be developing a variety of expanded opportunities through such things as our annual fund, reunion giving and special initiatives. And our alums do get something tangible back, whether it's in the form of lifelong learning or through participation in reunions or alumni club networking events. But the payoffs are far larger than that. When you join the Kellogg family as a student, you are becoming a lifelong part of a wonderful tradition, culture and network. We are now building a culture of philanthropy into this larger culture, so that there is an expectation that you will give back. As an alum, you are investing in Kellogg and what it means to you and working to ensure that the school will continue to be even greater for the students who come after you. But it's also an investment in your own network. KW: What are some of your objectives for the next year? DS: Part of what I'll be doing is going around the world, meeting as many Kellogg alums as I can. I want to start building relationships that I hope will develop into a strong and enthusiastic community of support among our alumni and friends. Beyond that, the question we'll be answering is, "Where is the Kellogg School going, and what role will philanthropy play in getting us there?" KW: How are we thinking about that question? DS: Among the many considerations being examined is determining where business education, and business itself, is going. Take the issues of globalization and leadership. What's the next step in developing these areas of expertise? The terms must be rooted in clarity, and Kellogg must have a clear strategy regarding what it views as the components of cutting edge business culture. The plan for this, and the role of philanthropy in this plan, is key to what I do. We cannot go to our alumni and say, "We need money for what Kellogg is now and has been." That's not good enough. We have to provide the "lift of a driving dream." This is a plan that identifies the future of Kellogg, one that is exciting, believable and easy to understand.